A woman has told jurors of the moment her sister confided she had been sexually assaulted with a glass object. David Andrew Corcoran, 30, of Conway Drive, Fulwood, Preston, denies sexual assault and is on trial at Preston Crown Court. The attack is alleged to have taken place between April 16 and 22. 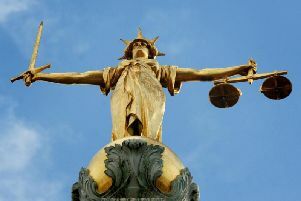 Prosecuting, Neil Bisarya quizzed the complainant's sister, who cannot be identified for legal reasons, about the moment the woman had told her of the assault. Giving evidence from behind a screen, she said: " She just sort of peeped her head through the door but looked like she had been crying, like she was really upset. "She just looked deflated - she sat on my bedroom floor." She told jurors her sister had said the defendant had attacked her with a bottle and added: " She was just heartbroken. "She was just a mess, like she needed to get it out but she didn't know what to do. "She was just crying, constant crying, trying to get words out. The witness told the court she felt angry and upset because she could not do anything about it, and that her sister had told her she was bleeding and feared she may not be able to have children. "I just kept saying you need to report it you need to tell the police." Defending, Fiona McNeill asked if she was surprised the complainant had not reported the alleged attack until July - two months later - and she replied: "No."